The schedule for season 3 of PartyPoker LIVE looks a lot different from that of the previous two seasons. 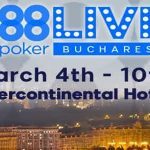 The Live MILLIONS events in Russia and the UK have been replaced by stops in Brazil and the Czech Republic; and due to Easter being late this year, the Live MILLIONS event in Canada has been shuffled back to the end of May. The Caribbean Poker Party has also been renamed as MILLIONS World. Other changes affect the structure of the Live MILLIONS events themselves. 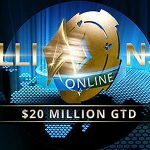 For season 3 Live MILLIONS events, the buy-ins have been doubled to accommodate the change from an unlimited re-entry structure to a freezeout structure, late registration periods have been reduced, and each Live MILLIONS event will only have one Day 1. Previously there have been as many as four Day 1s. We want the MILLIONS brand to be synonymous with being one of the most prestigious live competitions in the world. We hope these changes will allow us to improve and build our MILLIONS tour to make it the best LIVE experience for our players. Players looking to qualify online for the MILLIONS South America in March are advised to have a look at the value-added sub-satellites currently running in the Party Poker client. As usual, the online qualifying process consists of a two-phase tournament, with $109 buy-in Phase 1 events running each evening at 9:00pm (all times GMT), and at two-hourly intervals on Sundays between 4:00pm and 10:00pm. Players who survive the 26 eight-minute levels carry their chip stacks forward into a Phase 2 Final each Sunday at 9:00pm. The Final can also be bought into directly for $1,050, but players doing this will get a starting stack of 500,000 chips (equivalent to 100 Big Blinds) and be at a disadvantage compared to players who have carried forward more substantial chip stacks (typically most of the field). The reason why players who qualify via Phase 1 tournaments tend to have more chips than those who buy-in directly is because you can enter as many Phase 1 tournaments as you wish. Only the largest chip stack gets carried forward to the Phase 2 Final, but having a larger chip stack than the average to start with gives you a better chance of winning one of the ten $12,000 packages up for grabs. The value exists in the sub-satellite “feeders” running every hour from 2:00pm until midnight daily. 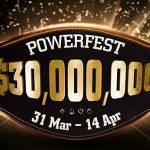 These have buy-ins of $3.30, $11.00, and $22.00 and have up to five $109 Phase 1 entries added to each sub-satellite. Consequently you get scenarios in which the value of the prizes awarded can be almost double what they would be based on entries alone. For example, in a $22.00 buy-in sub-satellite last night, eleven players entered, creating a prize pool of $220. 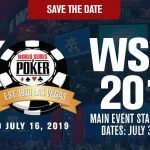 Usually this would mean the top two players win a $109 seat in the Phase 1 tournament and the third player receives $2.00. Instead, four of the eleven players won seats. In a similar sub-satellite last night, eleven of thirty-six players won a $109 seat instead of the six seats that would normally be prizes. Therefore, if you fancy a trip to Brazil this spring, visit Party Poker before other players identify the value available by playing in the sub-satellite “feeders”. You could seriously enhance your chances of making an appearance in next Sunday´s Phase 2 Final with a significant chip stack, which could result in winning a package to the MILLIONS South America in March.